Human Appeal, a global charity based in Manchester, are celebrating the start of Ramadan by sharing Ramadan with homeless people in London. Human Appeal will be funding Streets Kitchen, who feed homeless people on the streets of London for the entirety of the holiest month in the Islamic calendar. To announce this initiative Muslim staff and volunteers from Human Appeal set up a kitchen on the pavement outside Camden Town underground station, with Streets Kitchen, and fed hundreds of rough sleepers throughout the night of Wednesday. Human Appeal is innovating new ways to give and share donations. As it looks to Introduce a new scheme to issue prepaid gift cards from the Co-op to homeless people and households. The prepaid cards will be providing of up to £80 per person to destitute people across Greater Manchester to pay for essential items to pay for their health and well being. Human Appeal is striving to make new changes and create a new more local direction for the charity. Since losing its former CEO Othman Moqbel just before Ramadhan to a alleged scandal regarding finances, the charity is launching new campaigns to support the many it has globally. Ramadan is the busiest time of year for Muslim charities, where they expect to take 50% of their annual income in donations in the month of Ramadan alone. The event displayed how the different communities across Manchester can work together and how they can help achieve The Mayor’s pledge of ending roughing sleeping in the city. Human Appeal are a key member of The Mayor’s homelessness task force. 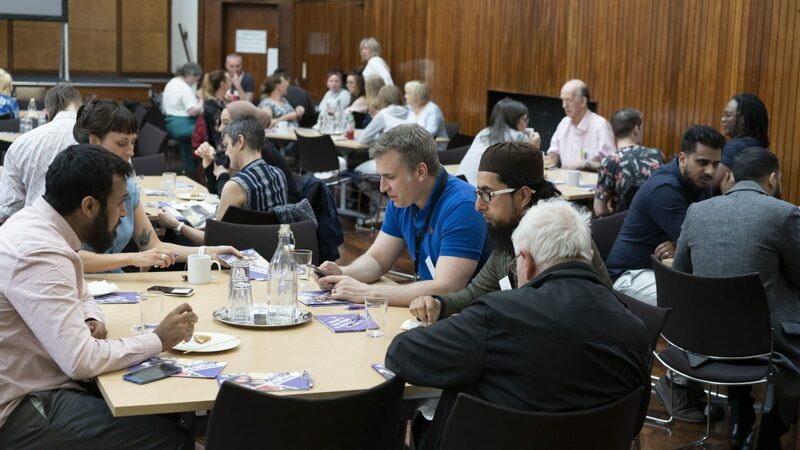 Human Appeal launched their Ramadan campaign in Manchester on Monday 14th May in their home city of Manchester. In attendance were local community leaders from the Christian, Jewish and other faith groups, as well as the Mayor of Greater Manchester, Andy Burnham. At the event they fed homeless people who from the local area and the distribution was assisted by staff and volunteers from Human Appeal and homeless charities.